Wow!! Don't miss out on the opportunity to own this stunning Mediterranean style 5 bedroom, 3.5 bathroom town home with private heated pool and spa!!! This great home comes fully furnished with everything you need to start using as vacation rental home OR grab your toothbrush and clothes and move in yourself!! New carpeting was just installed in 2017. 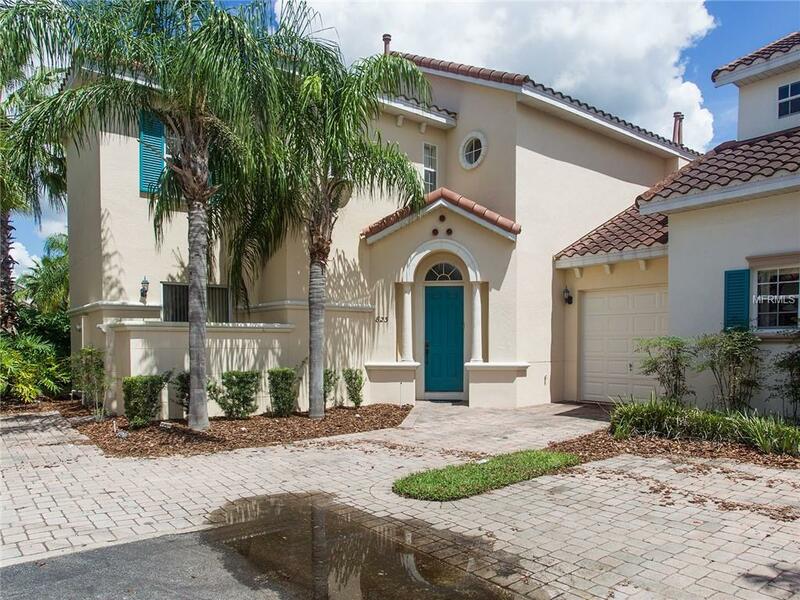 This home features both an upstairs and a downstairs master bedroom. There is a private courtyard off of the master bedroom. Great place to have a cup of coffee in the morning or a glass of wine in the evening. The gated community not only offers a feeling of security but also features a clubhouse with a business center, fitness center and playground. Located just minutes from shopping and the supermarket, you are also close to schools parks and more. Not to mention still close to all the theme parks and the I-4 corridor.